On and off have been sharing few of my creations with you. I often mention quilling as my base but i love trying my hands on scrapbooks, cards etc.. So here is sharing one square box i made recently for a cute mini album. 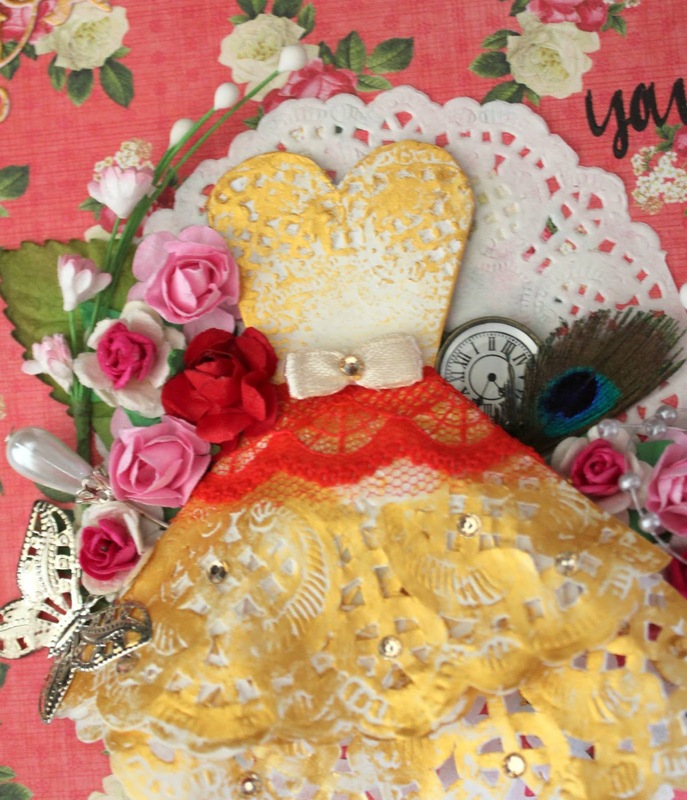 Here is a snap shot of the album cover page..I love using resin charms..here i have used the inka gold generously over the charm and also the doily dress over the box. 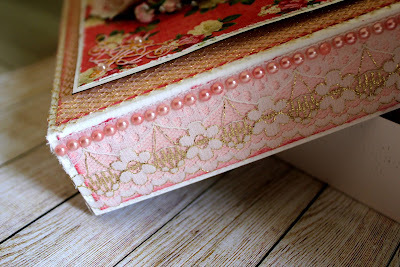 Used lace on the sides of the box and adorned it with some pearls. 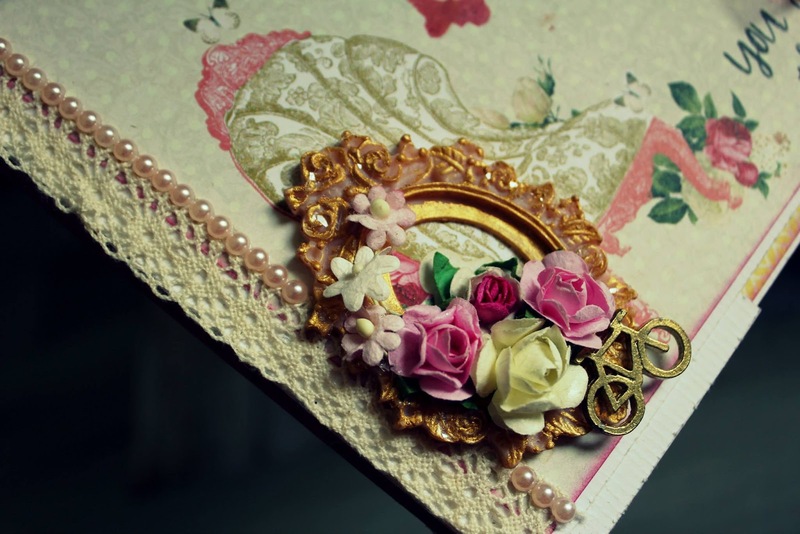 I love adding mulberry flowers to my projects, they give a different feel to the project. Added little charms and also a peacock feather. Elegant and delicate corner die cuts sits on the edges of the box. Hope you like the above box. Wow! This is so beautiful. Love the paper choice and all the elements. 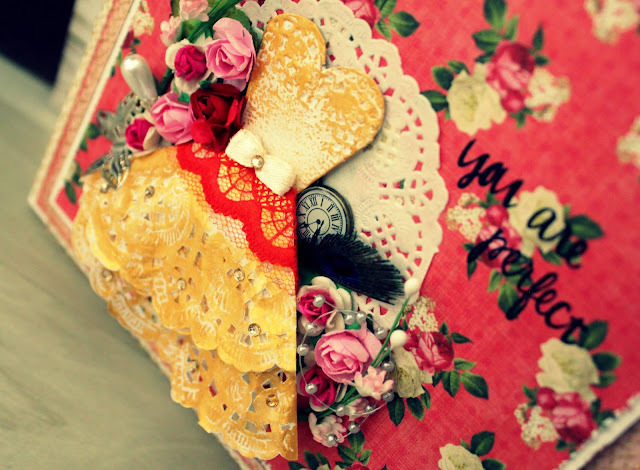 The ink in the doily gives it such an elegant touch! I love it! Thanks for sharing with us at 613 Avenue Create this week. Hope to see you back soon. 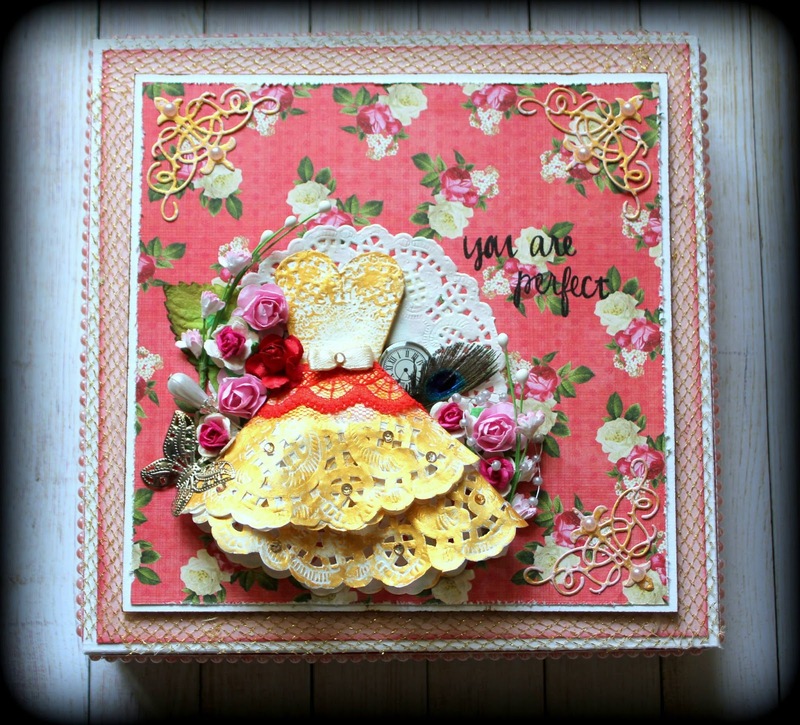 Absolutely gorgeous box, thank you so much for sharing with Simply Create Too. Have a wonderful evening! Stunning box! So welll designed! Thank you for playing at BGC!